In my opinion, the ultimate Valentine’s Day gift is cheese. I got my Valentine’s Day gift from my hubby early this year. It’s not chocolate. Or flowers. Or jewelry. My most favorite cheese . . . the one I savor, nibble by nibble . . . is Sartori’s Raspberry BellaVitano. 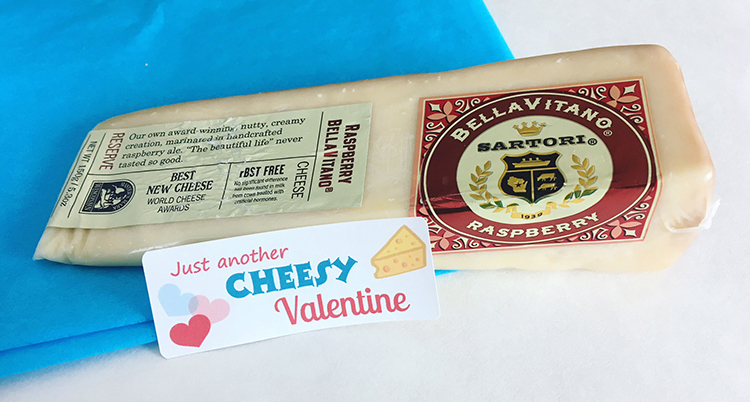 I first met Raspberry BellaVitano at a cheese-sampling event and it was love at first taste. Two of my favorite foods . . . raspberries and cheese . . . married together into one tantalizing delicacy. My hubby truly knows the way to my heart. Cheese could be the way to win your Valentine’s heart, too. There are so many varieties of delicious cheese available . 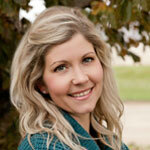 . . from locally-made artisanal and farmstead cheeses to your favorite national brands . . . it’s nearly impossible to go wrong. And if you’re not sure which cheese is your sweetie’s favorite? Add a cheese course to your Valentine’s Day dinner and sample an assortment of different cheeses. If you need a few romantic words to accompany your gift, keep reading. For the holiday that’s known for its cheesy sayings, there are plenty of actual cheese-y sayings to accompany your gift of cheese. “I’d be so provolone without you. Your kids and their friends really want cheese, too. 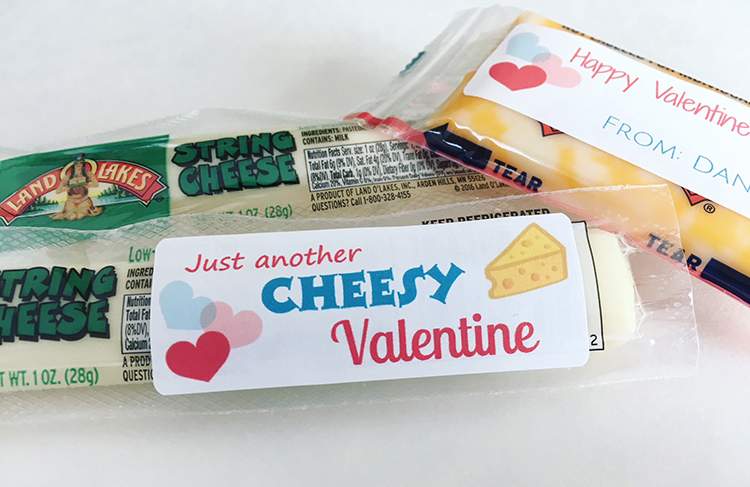 Skip the candy and send your kids’ favorite snack cheese or string cheese for the Valentine’s Day exchange at school. Add a Valentine’s Day sticker . . . standard mailing labels fit perfectly . . . or one of the cheesy sayings above. Whichever cheese you choose to celebrate with, Havarti a Happy Valentine’s Day!